After the hype of Spring Training, Opening Day, and the All-Star Game, the last hurrah is taken by the trade deadline. It went by with many teams adding pieces here and there to teams like the Blue Jays going all in, and taking a shot on a shortstop who has dealt with numerous lower body injuries up to this point in his career and a pitcher that has about a 25% chance of resigning with the team. Just as with MLB, fantasy leagues saw their trade deadline come and go. 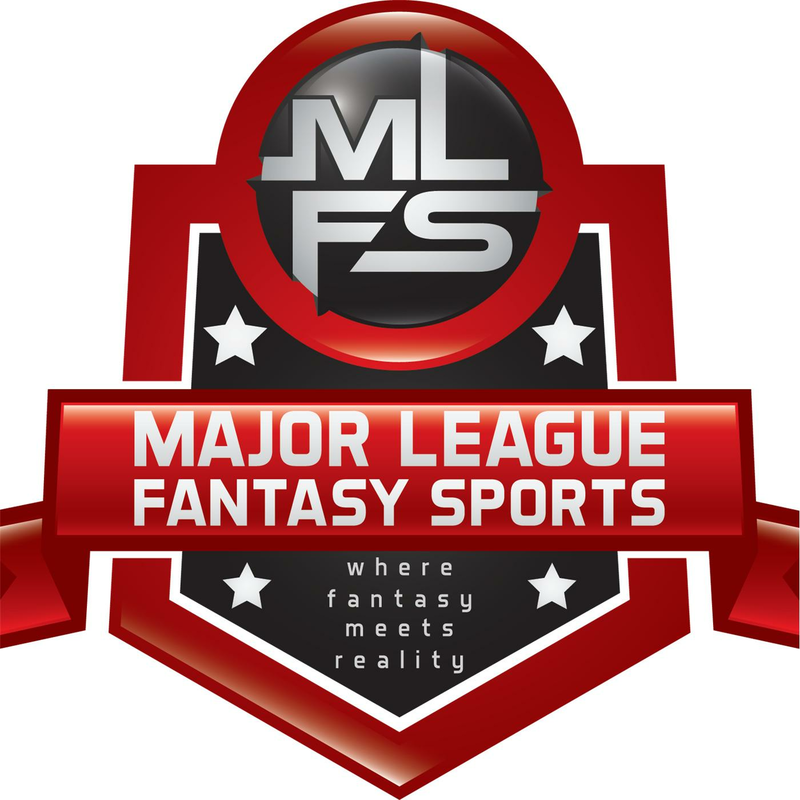 Many owners built for the future by acquiring draft picks for next season, while others followed suit with the Blue Jays and went all in, hoping that this is the year for fantasy baseball glory. Many will fall just short, while others will feel like “The Spaniard” from Gladiator. This week, I’ll be breaking down the winners and losers of the July 31 trade deadline. The Blue Jays were the ultimate winners by the trade deadline. They struck first by trading for shortstop Troy Tulowitzki. My immediate reaction was the fact that they are putting a player that has been injury prone, from the waist down, onto the artificial turf of the Rogers Centre. It’s been proven, time after time, that this is not a natural playing surface and it cuts into the careers of athletes. No, we are not dealing with an NFL running back, but Tulo is a player that has underwent the knife to repair a groin injury as well as a torn hip labrum. Don’t get me wrong, he’s a fantastic player when he’s in the lineup and he’s stayed healthy in 2015, playing in a total of 93 games. He’s produced as well, hitting .303 with 15 HR, 57 RBI, and 54 R. I must admit, Tulo playing in the Rogers Centre intrigues me just as much, if not more, as when the Blue Jays acquired Josh Donaldson. He should keep producing and there’s no reason he can’t push the 30+ home run plateau for the third time in his career. At the price of Jose Reyes, Miguel Castro, Jeff Hoffman, and Jesus Tinoco, the Blue Jays were able to land arguably the best position player available while the Rockies were able to revamp their minor league arms and get back an above-average player in Jose Reyes. The Blue Jays didn’t stop after Tulowitzki. They bolstered their starting rotation by adding frontline starter David Price. It remains to be seen if Price will end up being a rental, but the Blue Jays were able to gain Price’s services at the price of Daniel Norris, Matt Boyd, and Jairo Labourt. I like the trade for both teams. The Blue Jays badly needed a true number one starter, and the Tigers grabbed Daniel Norris who looks primed to be a strong left-handed starter in the foreseeable future. All signs pointed toward Price leaving, and the Blue Jays were willing to take the risk of renting a pitcher that could be a difference maker come playoff time. If the Blue Jays wind up in the one-game Wild Card Playoff, I can’t think of a better pitcher to take the hill than David Price. It’s true that you can never have enough fire power, and the Blue Jays added another player in speedster Ben Revere. I liked the trade a lot. It gives them a player that can cover ground in left field while allowing slugger Chris Colabello to pinch hit off the bench or split time at first base with Justin Smoak. Colabello has been consistent all season and there’s no reason why he shouldn’t be given the majority of playing time at first base. Tulowitzki, Price, and Revere will be fantasy studs moving forward. If your deadline hasn’t passed and you have a chance of acquiring any of the trio, do so now. The Astros have been an interesting organization during my 28 years on this planet. I’ve seen the Killer B’s in Bagwell, Biggio, and Derek Bell, followed by Lance Berkman replacing Derek Bell. They’ve had their fair share of pitchers in Roy Oswalt, Brad Lidge, Mike Hampton, Jose Lima, and Billy Wagner. 2015 looks like a season where they’ve figured it out yet again and have a four game lead over Los Angeles Angels in the AL West. It will be a tight race, but the Astros made it clear they are gunning for a playoff spot. It’s not a secret that pitching is the most prized possession come playoff time. The Astros have had a superb rotation in All-Star starter Dallas Keuchel followed by Collin McHugh and Lance McCullers. They Astros made sure their rotation will remain strong by acquiring starter Scott Kazmir from the Oakland Athletics. The Astros didn’t have to deplete their minor league organization while sending a message to the rest of the AL West. Of all the deadline deals, I absolutely love the acquisition of Carlos Gomez from the Milwaukee Brewers. Gomez brings a mixture of speed and power, as well as defensive prowess in centerfield. He’s perfect for the two, three, or four spot in the lineup and should allow Springer the opportunity to drive in more runs once he returns from his stint on the disabled list. Owed only $9mil in 2016, Houston will have a full season of control after this year. Jeff Luhnow best thank Sandy Alderson for rejecting the Gomez deal after stating an issue with his medical records. Houston has the talent on both sides of the diamond and will make it interesting as they fend off the Angels and Rangers on their way to winning the AL West. Gomez and Kazmir should be in play moving forward as they will produce big results on your fantasy roster. On the weekly radio show, and in my articles, I stated that Johnny Cueto and Ben Zobrist were safe bets to be moved by the deadline. Naturally, I would’ve never predicted them to land on the same team. The Royals did their due diligence to run away with the division, even while holding a comfortable eight and a half game lead over the Minnesota Twins. The situation couldn’t be any more perfect for Cueto to audition for a huge payday. The Royals are only a year removed from representing the American League in the World Series, and Johnny Cueto is the number one starter they badly needed. There’s no question he’s going to get paid, and if the Royals are serious about contending for the next four to five seasons, there’s no way they can let Cueto walk in free agency. Ben Zobrist is the Swiss Army Knife that is so vital as they continue to head towards the home stretch. He can play all over the diamond and can hit at both ends of the lineup. The acquisition quickly paid dividends as Zobrist went three for four with two solo home runs in a 7-6 victory over the Blue Jays on Saturday. Since the trade, he’s hit second and seventh. This should be a common occurrence depending on the pitching matchup and Zobrist should provide a boost to any fantasy roster. He won’t cost you much and is a perfect addition to your utility role. How would you like to see an ALCS featuring the Toronto Blue Jays and Kansas City Royals? I consider them the dark horse of trade deadline winners. They were able to land David Murphy, Shane Victorino, and David DeJesus prior to the deadline. All three can potentially split time in all outfield spots and designated hitter. The Angels haven’t gotten the most production out of the position and were able to land three abled bodies to try and fill the void. I really liked the Conor Gillaspie pickup from the White Sox. The trade was for cash considerations, and David Freese is another player the Angels can’t rely on. These were all subtle moves that could make a great impact. Matt Joyce was slated to hold down left field, but has struggled mightily this season. He’s hit an embarrassing .178 with just 18 XBS (5 HR) in 242 at-bats. They need some sort of production moving forward, rather than an automatic out. Out of Murphy, Victorino, and DeJesus, I’d put money on Murphy and DeJesus having the biggest impact. Victorino is long gone from providing any real value, especially with his injury concerns of the past few seasons. None provide fantasy value moving forward. The Angels look set moving forward and any team that has the likes of Mike Trout shouldn’t be taken lightly. Jeff Samardzija has had deja vu all season pitching for the White Sox. It happened all the time on the north side of Chicago, and it’s happening again. To be fair, he hasn’t gotten the run support when he’s pitched well and he’s been annihilated when he performs poorly. There’s not a difference in win/loss totals from home and away starts as he is 4-3 for both. However, the most eye-popping stat is his ERA. At home, Samardzija has a 3.82 ERA while it’s jumps to 4.81 on the road. It’s amazing that it’s this high as U.S. Cellular Field has been known to see its fair share of home runs. Samardzija is a free agent after the season and should see a hefty raise compared to the $9.8mil he’s being paid this season. I can see him getting a five to six year deal in the neighborhood of $60-70mil. He hasn’t helped his value with a great season, but given the right lineup hitting behind him, he could be a great two or three starter for the length of his contract. I’m rooting for the fellow Valparaiso native to get paid. They were able to move Conor Gillaspie to the Angels for cash, but they truly believe they could make a push as the season comes to a close. They are 11.5 games back in the division and it’s not impossible for things to happen, but Kansas City did enough to pull away from the White Sox. As Melky Cabrera decided to finally show up this season, he carried value into the trade deadline. I would’ve put him out there to see what I could’ve brought back in return. Naturally, it wouldn’t have been the greatest prospect, but I would’ve taken a mid-level return. They could’ve had Troy Tulowitzki, but instead they passed and let their division foe Blue Jays grab the power-hitting shortstop. It would’ve cost the Yankees quite a bit of their top minor league prospects, but not pulling the trigger could come back to haunt them if the Blue Jays leap frog them in the standings. I know the Yankees are high on Aaron Judge and Luis Severino, but this has been a great season and the Yankees can compete with anyone. The addition of Tulo would’ve solidified not only the recent retirement of Derek Jeter and the shortstop position, but he would’ve fit perfectly in a lineup that sits near the top of every offensive statistical category in MLB. There is one other question the Yankees failed to answer. They could’ve used another starter. There’s no questioning Tanaka, assuming the elbow stays in tact, Eovaldi, and Nova, but Sabathia just turned 35 and hasn’t been the Sabathia of old in quite some time. There’s also a question surrounding the fifth starter if any starter sputters down the stretch. Pineda is down with a right flexor forearm strain and who knows what it could lead to. Aaron Harang could’ve been cheap insurance. With the Yankees’ history of acquisitions, they could’ve made a move for Alex Wood or Mike Leake. Only time will tell if staying put was the right call. Yes, that’s right. I’m going to stir the pot and say the Rangers were a trade deadline loser, even after acquiring Cole Hamels. This was a great acquisition, especially considering the Hamels’ contract is through 2018. This had to be more of a move for the next few season with the return of Yu Darvish. I can’t see a team sitting eight games behind the Angels and division-leading Astros think they can compete with a lineup featuring a struggling Josh Hamilton, Shin-Soo Choo, and Delino DeShields, Jr.. Carlos Gomez would’ve been a perfect fit for this lineup and the spark they’ve been missing. Prince Fielder can’t do it all himself. If they were concerned about cost, which they weren’t since they landed Hamels, they could’ve gone after a player like Josh Reddick. How about landing Hamels and then trading for Justin Upton? There’s no reason why the Rangers stopped at Hamels. They needed hitting as much as a starting pitcher, but failed to add both. Don’t get me wrong, I love Hamels, but he can’t do anything for them offensively. The Rangers will have fun winning each game Hamels pitches and then losing every other game while having “what if” on their minds as they miss the post season with a sub-.500 record.